As a kid, I was pretty big into edutainment games. Any excuse to play video games in school I took, from Number Munchers to Oregon Trail. Some titles were more “entertainment" than “education," but I ran with it anyway — and in some cases, I taught my fellow classmates how to earn a high score. Good enough, right? However, in all my childhood I never had a chance to play Zoombinis ($4.99). I’m glad that I changed that recently with its iPad release, even if it hasn’t aged all that well. This story opens with the adorable and titular Zoombinis entering an ill-fated contract with the Bloats, who end up eventually enslaving our heroes. 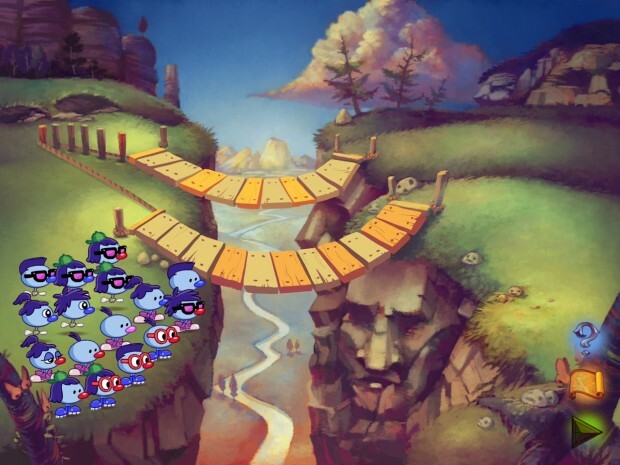 Because the Zoombinis are ever so resourceful, they make a great escape and end up seeking out their own promised land. This all happens within the span of a few minutes, and after assembling your own custom crew (where every character must be unique) that’s basically all you’re going to get from a narrative standpoint. Instead, you’ll be tackling puzzles, which basically form a custom story around the basis concepts presented in the intro. 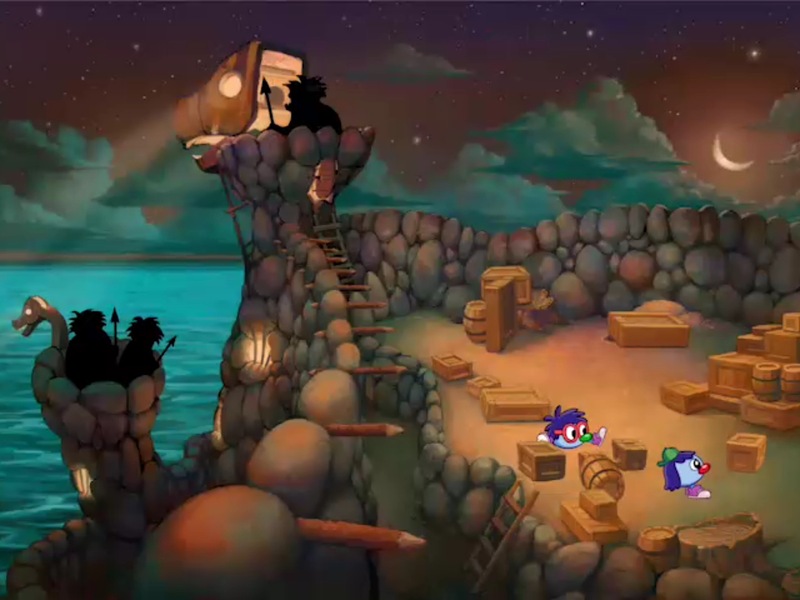 Yep, Zoombinis is a logic game set across 12 maps, which function as unique puzzles. For instance, one stage forces players to move their characters across several bridges, each with their own custom rule sets for who may cross them. It’s up to you to explicitly figure out what rules apply for what bridge, lest you run out of time. This calls for a certain degree of memorization as well, since you’ll have to manually deduce, and keep track of, all of the reasons why you may or may not be able to cross. The controls are incredibly simple (though finicky at times when touching certain areas), as they solely involve tapping characters and then tapping the destination — that’s it. None of the puzzles involved are particularly difficult, which makes sense since it is designed as a teaching tool. Just know that as a result, many of the levels blend together, and you’ll likely zoom past half of the game before realizing it. Once you’ve done that, there’s very little in the way of replay value. You might get a kick out of showing the game to a niece or nephew for example, but there’s no real reason to play it again after trekking through it in an afternoon. 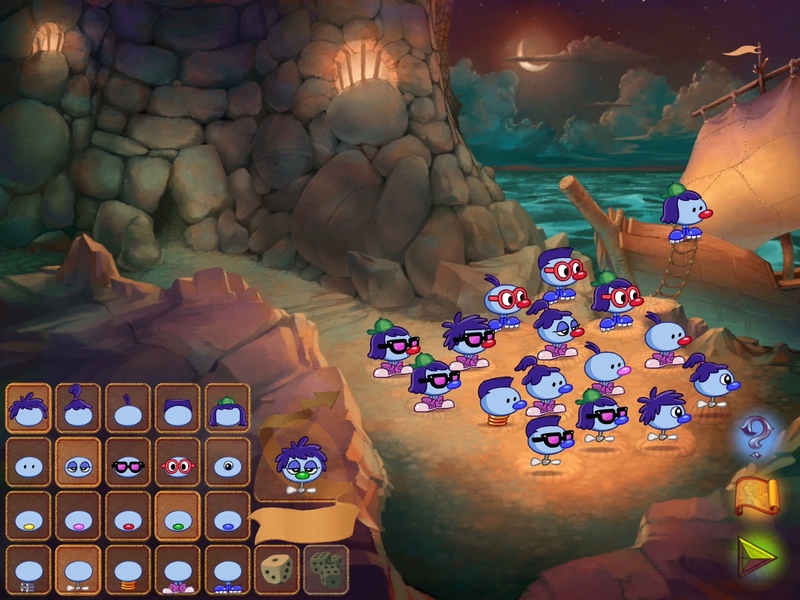 In terms of its visual style, Zoombinis holds up rather well on paper, as the characters are all full of life and of course, timelessly cute. However, much like the gameplay, the animations are severely dated, and not even this mobile re-release can make them shine. Even all of the screenshots I’ve taken, despite their high resolution, look washed out and like a relic of the past. As a cherry on top of sorts, there are no IAP trappings or ads. Instead, what you see is what you get. If you have a child or an open mind for a edutainment, Zoombinis is worth checking out — just know that time doesn’t heal all wounds.